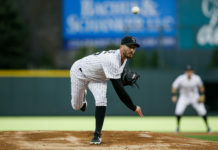 The Colorado Rockies currently sit eight games under .500, and with their window of opportunity to make the playoffs closing, they could opt to become sellers at the deadline. One name that has been floated around in trade rumors is slugger Carlos Gonzalez. 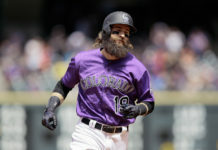 Jon Heyman of MLB Network reports that the Los Angeles Dodgers are “looking hard for a bat” to add to their lineup, and CarGo may be that guy. “While they are expected to at least talk about Carlos Gonzalez, they are expecting the price to be quite high,” Heyman states in his article. CarGo’s trade value is currently at an all-time high, as the slugger is ripping at the plate with a .317 batting average to pair with 19 bombs on the year. 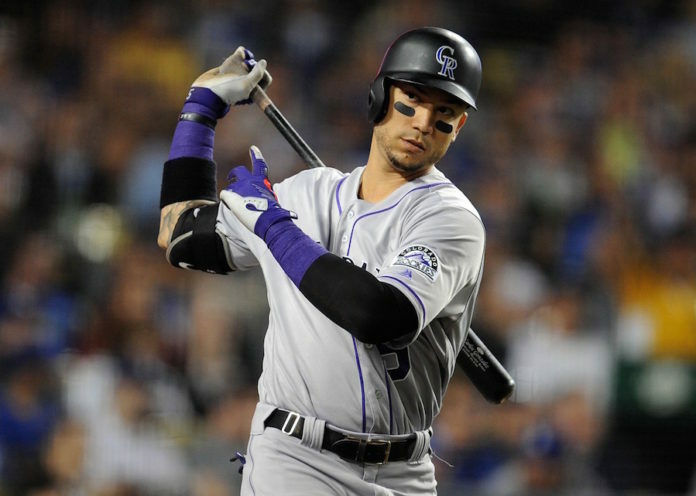 Gonzalez is one of the best players in the sport when he is firing on all cylinders, and it would take a pretty penny to pry him away from the Mile High City; however, with the playoffs just about out of reach for good, maybe the Rox should look to max out on the value of Carlos Gonzalez. Only time will tell if they do.